Black Friday marks the start of the holiday shopping craze, and what better way to kick off the Christmas season than with the perfect tree? If you’re looking to replace your grandma’s tree with a stylish and smartly designed alternative, Treetopia’s got you covered. Here’s the 411 on Treetopia’s best deals on Black Friday. Black Friday marks the start of the Christmas shopping rush. With people looking to get the best deals, this can be an intense, exhausting, yet rewarding experience. A little bit of planning and prioritization can go along a way in securing the best prices. Get the most of this year’s super sales event with this ultimate guide for Black Friday shopping from Treetopia. There is a variety of smartphone apps specifically made for shopping on Black Friday. Apps like the Black Friday 2014 Ads App for IOS or Black Friday for Android offer thousands of deals that you can get your hands on without walking out the door. National and local retailers have also jumped on the tech bandwagon, so check out the Google Playstore or Apple’s Appstore for store-specific applications, like Amazon’s mobile app. From easy parking to coupons, smartphone applications should be your first stop when looking for a great deal. Some of the best deals can be found through the internet. In fact, some stores offer “web only” discounts that you wouldn’t be able to take advantage of otherwise. You have two options when ordering online —either you have your item delivered to you, or you wait for the volume of shoppers to decrease and make your way to your local store to pick-up your package. For hassle-free Christmas tree shopping, Treetopia offers direct-to-your door deliveries for artificial trees of all sizes, shapes, and colors from our website. If you can find a great deal online, there’s really no need to go out and keep the Thanksgiving leftovers waiting. If you can’t find the best deals online or on your phone, a bit of diligence can make shopping a whole lot easier. If you are looking for a laptop, find out if the store 10 minutes away has a better price on MacBooks than the one around the corner, because some discounts could be worth the quick drive. Familiarizing yourself with store policies is also a must. Is there a restocking fee? Do you need to bring a magazine cutout or coupons to avail of the price slash? The answer to these questions can save you from a lot of headaches down the road. More and more retailers are slashing their prices on the eve of the big day. If you have time on Thanksgiving Day, why wait for the Friday rush? Watch out for early bird promos and midnight madness sales that happen between 12 am to 4 am. Check out stores after buying supplies for your Thanksgiving dinner, and you could avoid waking up early and standing in lines altogether. If you decide that braving the lines and possibly bad weather is the way to go, make sure that you come prepared. It’s a jungle out there, and you’ll need rest, hydration, and rations if you want to survive. Get as much sleep as you can after your Thanksgiving dinner. Bring small snacks and bottled water to keep you full and hydrated while waiting for the stores to open. Long lines on Black Friday are as certain as death and taxes. You can be standing in line for hours, so make sure to have something to keep you busy. Bring your smartphone so you can play Candy Crush, or get through a few chapters of your favorite book. It’s going to be a long and tiring day for sure, but bringing a distraction can help ease the wait. Some bring lounge chairs for a quick snooze while waiting in line, but don’t get too comfy; you’ll need your wits about you once the queue starts moving. It may be best to leave your children at home, but shopping with friends or family can be very exciting. If you coordinate, you can cross things off your list faster than when flying solo. Travelling in a group can also be safer. With limited stocks and sleep-deprived shoppers, crowds can get rowdy and unpredictable, and it would be best to have someone watching your back. With a bit of prioritization and some help from this guide from Treetopia, you can save yourself a lot of hassle during the biggest shopping event of the year . If you’re on the hunt for a new Christmas tree, check out this post on 5 Treetopia trees with exclusive Black Friday deals! Whether painting the town red, or hosting a black tie event this holiday season, you’re sure to be tickled pink by Treetopia’s colorful tree collection. However, nothing embodies the timeless essence of Christmas more than a lush green tree. To celebrate the beauty of traditional colored Christmas trees, we’re giving away one (1) 7 to 7.5-foot green Christmas tree in Treetopia’s Forever Green Christmas Sweepstakes! There’s no question that Treetopia trees are fun, colorful, and convenient, but the true beauty of our trees lays in their versatility. 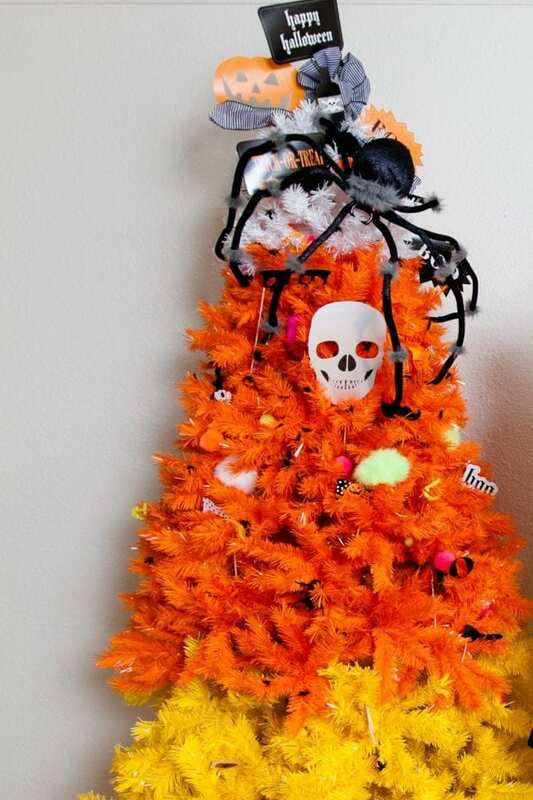 We’ve shown you many different ways our artificial Christmas trees can liven up the look of other holidays, like Independence Day, Halloween, and even St. Patrick’s Day! Now it’s your turn to show us how you would go about decorating a Treetopia tree for your favorite season or holiday. JoinTreetopia’s We’ve Got a Tree for That Pinterest Contest and get a chance to win wonderful prizes! Learn What Treetopia Tree Suits You Best, Win in the Treetopia Color Personality Sweepstakes! Are you passionate and flashy, or peaceful and calm? We believe that your Christmas tree is an extension of your personality, so we are hosting a special Treetopia giveaway to help you find the perfect tree that suits your taste. Put on your gown and high heels, folks, because we’re going posh and pretty this weekend! The stage is all set for the 71st Annual Golden Globes Awards, and Treetopia is there to help spice up the red carpet! An annual formal ceremony, the Golden Globes awards the entertainment industry’s best and brightest in film and television, both local and foreign. In that one special night, Hollywood’s elite gather to honor their peers and delight fans with a glimpse of their favorite stars at their most glamorous. This year, the awards will broadcast live from the posh Beverly Hilton Hotel in Beverly Hills, California, and we’ll be adding eye-popping color and flair to the evening’s proceedings in true Treetopia style. So invite your family and friends to keep an eye out for our fabulous creations when you watch all glitz, glamor, and fun on January 12, 2014. And if you’re looking for something special for your own industry event, visit Treetopia for the perfect tree that will fit right into your party. You can also contact us at media@treetopia.com for more details on a custom-made tree.